The dictatorship of the Imperial Earth Army has used Bio-Cyborg machines to keep things under control for too long. As member of the rebel forces, you jump into the cockpit of the Garland spaceship to battle the Bio-Cyborgs. The only problem is that the Garland is equipped with only one weapon, a Beam Vulcan. However, you also have a Tranquilander, which allows you to stun a Bio-Cyborg and assume control of it. Once you've commandeered an enemy ship, you'll have access to its more powerful weapons. Your reflexes will be put to the test in the five stages of side-scrolling shooting action. 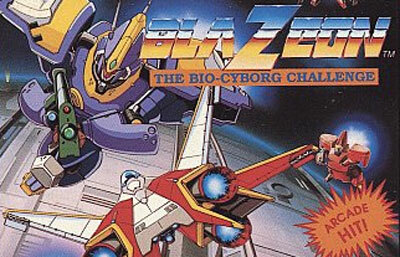 After battling a horde of Bio-Cyborgs on each level, you'll face off against a boss character. The Earth is depending on you to defeat the tyranny and restore democracy don't let your people down.